Could your perennial garden use a little variety? Want to add some texture, color and shape to your container gardens? Are you tired of killing your houseplants? 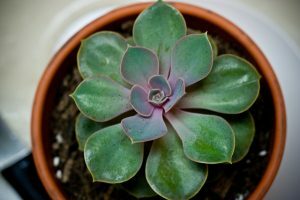 Succulents may be the answer! These plants evolved more than 5 million years ago as the earth cooled and dried and plants’ adaptation to retain water in their leaves, stems—and even roots—became important for their survival. Succulents are excellent choices for dry garden spots, rocky outcroppings, stone paths, rock gardens, walls, and containers. Most succulents prefer lean, well-drained soil and sun, sun, sun! Given our recent rainy winters, place succulents in areas well away from soppy soil— they don’t like “wet feet.” To give your plants the best start possible, irrigate lightly for a week after planting, especially during hot summer months, cutting back gradually until you are watering only every two weeks. 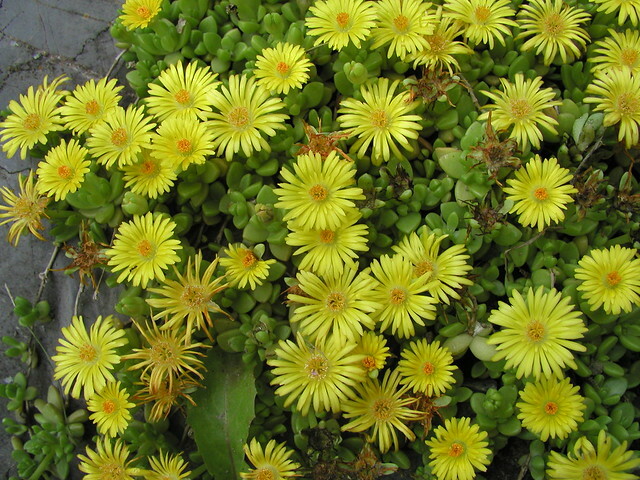 Delosperma (ice plant). Drought and heat tolerant, these South African natives come in a rainbow of colors and bloom throughout the summer. 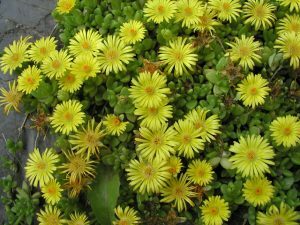 Both Delosperma cooperi (Zones 6 to 10) and D. nubigenum (Zones 6 to 8) will prosper as groundcovers. Orostachys malacophylla. An interesting hardy succulent with hen-and-chick-like characteristics. This trailing perennial is especially attractive in container plantings. 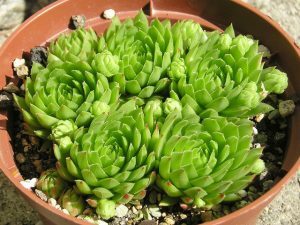 It produces leaf rosettes that are more open, with fewer leaves, than the true “hen-and-chicks.” Hardy from Zones 5 to 8. Sempervivum tectorum. 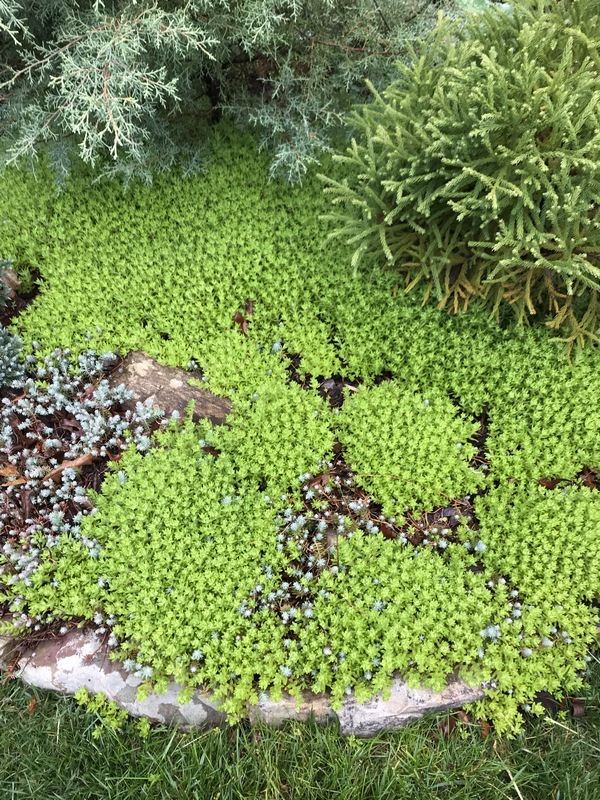 The traditional “hens and chicks,” these plants produce multiple offsets that create a textured foliage mat. They thrive in rock gardens, alongside gravel paths, and around stones, and are hardy from Zones 3 to 8. Sedum. Creeping sedums (stonecrops) are well-suited to containers, stone walls, and rock gardens, while upright sedums do well in perennial beds and along borders. 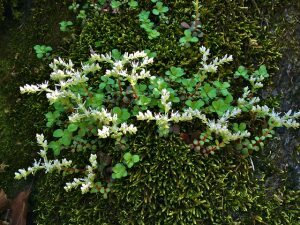 North Carolina is home to many native or naturalized sedum species, including the native low-growing Sedum ternatum, which prefers some shade and less acid soil—you may have seen it growing in the limestone soil at Max Patch in Pisgah National Forest. Sedum acre (dark green foliage and delicate yellow flowers). Upright sedums suitable for mixed perennial borders include S. spectabile and S. telephium (note that these plants are now known as Hylotelephium spectabile and H. telephium, but usually still sold as sedums). 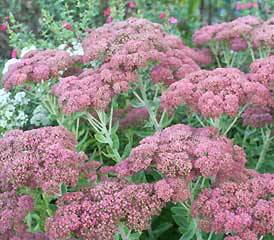 Fabulous pollinator attractors, the best known of these, ‘Autumn Joy’, has pink flowers that turn red, then coppery in fall, while others have persistent pink or white flowers. All are hardy in our area. They pair well with dwarf asters, coneflowers, and goldenrod. Many popular houseplants are succulents and are just the thing for those who forget to water! Some Sedum varieties make good houseplants. Aloe, Agave, Echeveria, jade plant (Crassula argentea), snake plant (Sansevieria trifasciata) are other succulents that will thrive indoors. Succulents may be as old as time, but they couldn’t be more contemporary. With so many sizes, colors and textures available, there’s never been a better time to invite them into your home garden! Article by Janet S. Moore, Buncombe County Extension Master GardenerSM Volunteer.